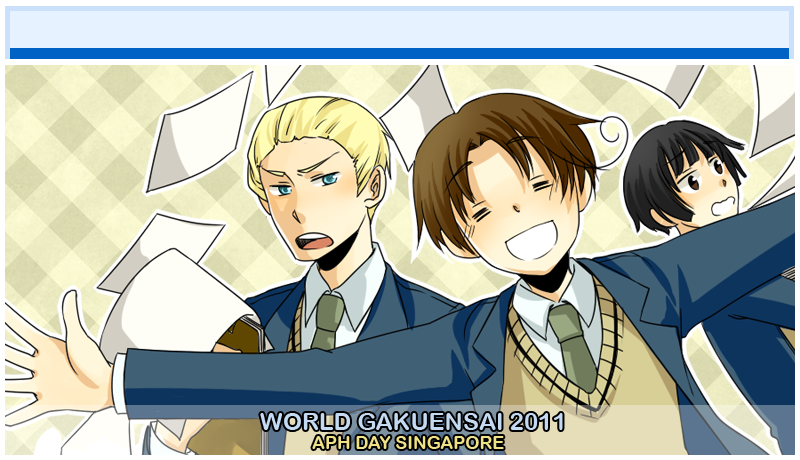 To the official Singapore Hetalia Day 2011 Website! Aside from the blog, the website will allow you to have more of an insight on how the event will turn out that day, along with what we're all about. 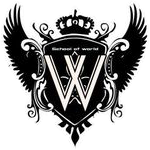 Sneak previews of the food that's going to be served as well as the cosplayers will all be displayed on this website. Make sure to keep an eye out for updates as we slowly reach towards that special day! Hi everyone, we regret to inform you that Momo (our Korea) will be unable to join us on the day itself because of some issues that have come up. She and us apologise for this! So it's been awhile since the last update (there was an update earlier actually, about the cafe menus being out) and just to let you know there's now an extension for you to drop in your orders for the cafe before we close all orders off! The deadline for you to place your orders will be on 7th of October so please send in your e-mails if you haven't already! The crew page is finally updated with all the cosplayers and little blurbs about the characters themselves, so please feel free to take a look! Almost everything on the blog is up and running except for the menu of what's going to be served along with the cosplay crew, however everything else is navigational! Also, be sure to check out the official blog on the links provided above to check out how everything is going so far! Some Merchandise will be sold during Cosfest to help with the event, so please be sure to support the artists whom are selling! Also more updates will be posted up on our official twitter website so please do take a look!